Indian spiritual guru Maharishi Mahesh Yogi, who introduced 'transcendental meditation' to the West, including the Beatles in 1960s, passed away at his home in the Netherlands. He was believed to be 91. The Maharishi died in his sleep on Tuesday evening due to 'natural causes' in the Dutch town of Vlodrop, his spokesman, Bob Roth said. The physicist-turned spiritual guru transformed his interpretations of ancient vedic scriptures into a multi-million dollar global empire and went on to built up a following of about six million people worldwide, including celebrities like Beach Boys, singer Donovan, Clint Eastwood and avant-garde filmmaker David Lynch. 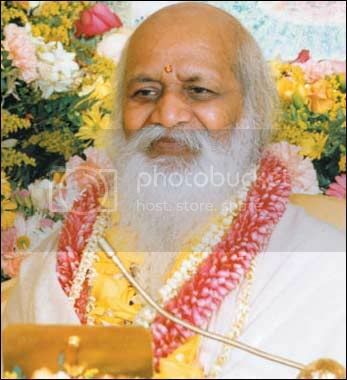 The Maharishi introduced the Transcendental Meditation movement to the West in 1959, but rose to popularity when the Beatles travelled to India to learn the mind control technique at his Ashram in the Himalayas in 1968. The band, however, fell out with the Maharishi soon thereafter. The guru announced his retirement and retreat into silence at his Vlodrop home last month, saying his work was done and that he wanted to dedicate his remaining days to studying ancient Hindu Vedas texts, media reports said. "He had been saying he had done what he set out to do," Roth said. Born in Madhya Pradesh, the Maharishi, whose real name was Mahesh Prasad Verma, graduated in physics from Allahabad University before devoting himself to spiritual enlightenment. Agencies quoted Bob Roth, a spokesman for the Transcendental Meditation movement, as saying that "he died peacefully at about 7 p.m. on Tuesday due to age." Maharishi, the spiritual guru to the Beatles, introduced the world the Hindu practice of mind control to the United States in the late 1950s. However, it was visit of the star band -- the Beatles -- to his ashram in India in 1968 that saw the Transcendental Meditation movement prospering.